SAN DIEGO, California -- A group of plaintiffs from 13 countries cannot join U.S. litigation against Toyota Motor Corp. over sudden unintended acceleration of its vehicles, said a judge coordinating hundreds of lawsuits against the automaker. U.S. District Judge James V. Selna in Santa Ana, California, granted Toyota's motions to dismiss lawsuits filed by 41 plaintiffs from countries in Asia, Europe, Australia and Central America seeking permission to sue over claims that their vehicles were devalued because of defects that caused Toyota to recall millions of cars. The judge ruled that the foreign plaintiffs hadn't produced enough evidence to show that that they should be included in the U.S. litigation and that he lacks jurisdiction over their claims. Selna told a lawyer for the plaintiffs that they can try to change his mind on some of his findings and said he was "skeptical" they would be able to do so. U.S. lawsuits against Toyota alleging economic loss, wrongful death or personal injury from sudden unintended acceleration were consolidated before Selna last April. The judge has told lawyers that he wants the first cases to go to trial in early 2013. Toyota, the world's largest automaker, recalled millions of U.S. vehicles last year and in 2009, most for defects related to unintended acceleration. It paid a record $48.8 million in fines for how some of the recalls were conducted. The carmaker said last month that it's recalling another 2.17 million vehicles in the U.S. for carpet and floor-mat flaws that could jam gas pedals. If the judge had denied Toyota's motion, more plaintiffs from foreign countries may have sought to join the litigation and share in pre-trial evidence gathering, including the questioning of Toyota officials and access to Toyota's secret source code for its electronic throttle-control system, said Monica Kelly, the attorney seeking legal standing for the foreign plaintiffs. Selna's ruling will allow any foreign plaintiffs who owned cars manufactured in the U.S. to join in the litigation if plaintiffs' lawyers for domestic cases allow them, Kelly said after the hearing. She said two of the current plaintiffs own cars manufactured in the United States. "Now we know that all foreign plaintiffs who own U.S.-made cars can join the domestic litigation," she said. Celeste Migliore, a spokeswoman for Toyota, said the company believes Selna ruled correctly that the foreign plaintiffs have failed to meet the legal requirements to bring their claims against the company in a U.S. court. "Although the court allowed the foreign plaintiffs an opportunity to try to amend their complaint, we do not see how they overcome the fundamental problem that these claims should be brought in the plaintiffs' home countries, not in the U.S.," she said in an e-mailed statement. 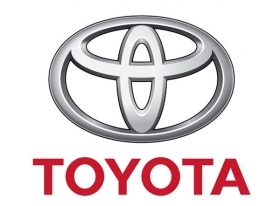 Toyotas are manufactured in at least 26 countries worldwide, and more than 170 corporate entities market and sell Toyotas in at least 170 countries, according to the statement. The cases are combined as In re Toyota Motor Corp. Unintended Acceleration Marketing, Sales Practices and Products Liability Litigation, 8:10-ml-02151, U.S. District Court, Central District of California (Santa Ana).